Hi, I'm a freelance Web Designer and Developer who can help your business put out a beautiful website, quickly and easily. 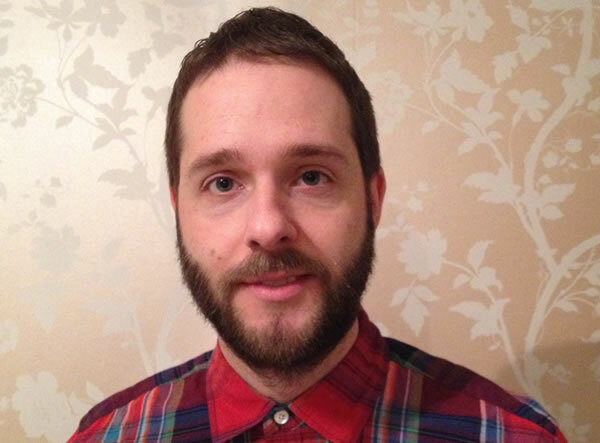 I am an award winning web professional, working full-time as Senior Web Developer for AUB (Arts University Bournemouth). I do freelance projects in my spare time. I pride myself on my people skills. This means I can effectively communicate with you regardless of your technical knowledge, making things clear, straight-forward and enjoyable. My work on AUB's eVision and Online Application system won a national award from Tribal group for most improved student experience. I like my sites to be clean, accessible and memorable. Every project is different, so I give a free quotation depending on what is required. I'm sure I can help with your next project. I am an all-round web professional. My skills cover all aspects of web design and development. I have enthusiasm to learn, and like to stay on top of things as new techniques and frameworks emerge, meaning my work is always cutting edge. My HTML and CSS skills are awesome, combined with an eye for detail to give you a beautiful website design you will love. I will listen to your needs to understand how I can make you stand out from the crowd with a website you can be proud of. Clean, modern & everything you want. I love responsive web design, so your website will scale and adjust gracefully looking fabulous on all devices. I excel in converting old websites into shiney new ones which are mobile friendly and adhere to modern standards. From log-in screens to forms, ecommerce to Content Management Systems, Databases to Social Media Integration. I eat code for breakfast...with full fat milk & blueberries on top! I was recommended due to recent success with Local Search Engine Optimisation (SEO). 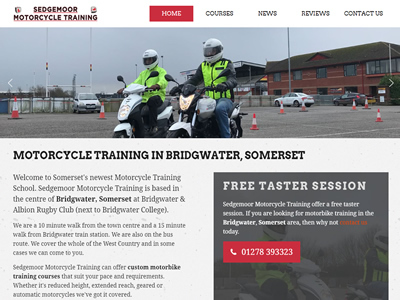 Sedgemoor Motorcycle Training wanted a design to make them stand out from their competition and to rank highly with search engines for local searches. 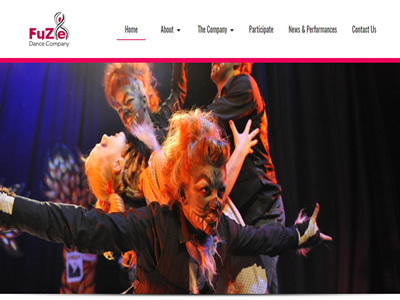 FuZe8 is a unique contemporary dance company for young dancers. They wanted a design to fit their brand, and a publishing platform to show off the inspirational talent they develop and their performances. 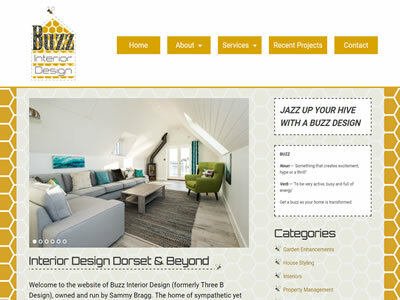 This Dorset based Interior Design company had re-branded and wanted a new website to match their new logo. I designed a Bee based look with honeycomb background, beelines and bullet points. I developed a platform for them to add their own content to showcase the great Interior Design work they do. 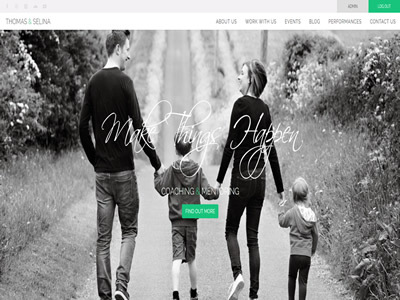 Thomas and Selina are network marketeers who wanted a coaching and mentoring website to inspire people to become the best versions of themselves. They required a content management system to deliver a blogging platform, contact form and event management system. The design matched their family brand, and created the vibe they were looking for. The response to this website has been fantastic. 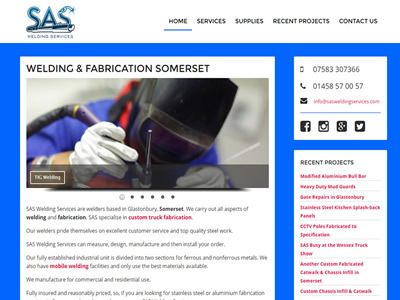 SAS Welding Services are a Welding and Fabrication company based in Glastonbury, Somerset. They wanted a WordPress content management system to showcase their work, along with a mobile friendly design. I carried out SEO work to ensure they ranked well in search results, which is vital for local businesses. They have seen a huge rise in enquiries from across Somerset with the associated extra income. 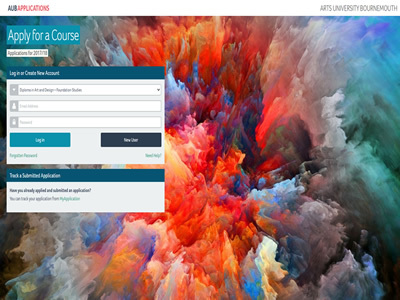 This online application system was for my employer AUB (Arts University Bournemouth). I implemented a radical new design with the vibrant look and feel you would expect from a leading Arts University. It featured a responsive design optimised for mobile devices and attention was made to a nice user interface. My work won a national award from Tribal Group for most improved student experience. 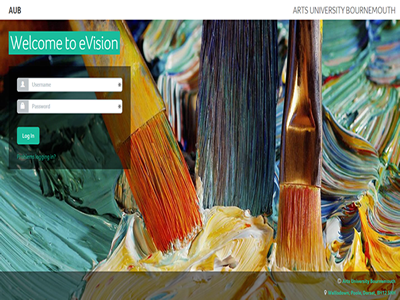 eVision is the student record system used by my employer AUB (Arts University Bournemouth). My brief was to improve the user experience by bringing it up to modern web standards, with a clean and accessible user interface, featuring a tile-based layout. Student facing screens adopted a responsive design optimised for mobile devices using the Bootstrap framework. 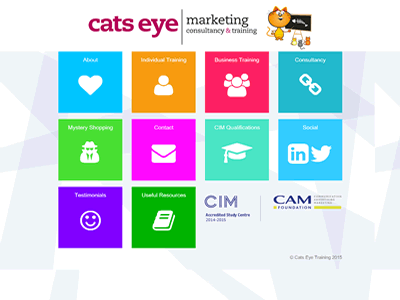 Cats Eye are a marketing, consultancy and training company who required a complete redesign of their website. They wanted a fresh look with a metro tile effect for the home page, which would scale nicely for mobile devices. The site uses CSS animations on the home page tiles, and is fully responsive throughout. They wanted a quick turnaround, so I produced the site within a week for them. 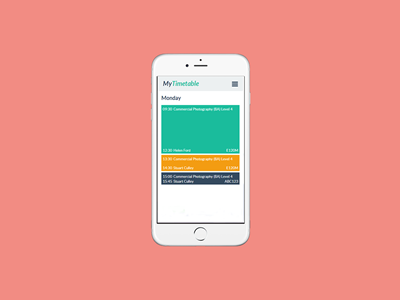 MyTimetable is a PHP based web application for students to check their College or University timetable. It has a responsive design and works well on all device sizes. It integrates with a SQL Server database. Fit Girl Slim is a high-end Personal Trainer service. My brief was to design a site which had the luxury feel to match their high-end prestige fitness service. Hear what previous clients have to say about me. Maybe I can help you with your next project? Please fill in the contact form and I will get back to you.